Last week was training week for Growing Food and Sustainability, (aka Summer of Solutions-Middleton). During this time we learned numerous valuable skills and tidbits about how the program operates. In my opinion though, the best part of the week was Wednesday after lunch when we read The Gift Circle. This text in a nutshell (and I highly recommend reading the whole thing), is about the gift economy and how it both increases community and decreases environmental impact. We all really enjoyed the idea. In the discussion that followed about what we wanted and what we had to offer each other, the ideas started flowing. The first time we went around the circle we mostly mentioned skills we wanted to gain from the program this summer. These ranged from pest control on plants to working better with youth. The second time we went around, we talked about what we each had to offer. Many of us mentioned various skills we had coming into the program that were not necessarily related to working with youth or gardening. From here we came up with a brand new aspect of the summer program: the skill share. We decided that this summer we will hold a skill share every Saturday, which will consist of one full or part time participant teaching others a new skill. Some of the skills that people in our team wanted to share included: playing guitar, crocheting, Zumba-ing, cooking delicious Malaysian food, and playing basketball. Quite a wide range, and enough to make a renaissance man (or woman) out of anyone! The other reason the skill share discussion was so great is that we were all at a point in training week where we crossed over to speaking as friends, not just as co-participants. It was the midpoint in the week, and after getting to know each other better in the previous few days, the discussion about what we each had to offer to the skill share made visible how much potential there is within our group to grow strong, lasting friendships. Overall it was an excellent week, and an excellent workshop. I look forward to sharing and learning some skills with some newfound friends in the near future! 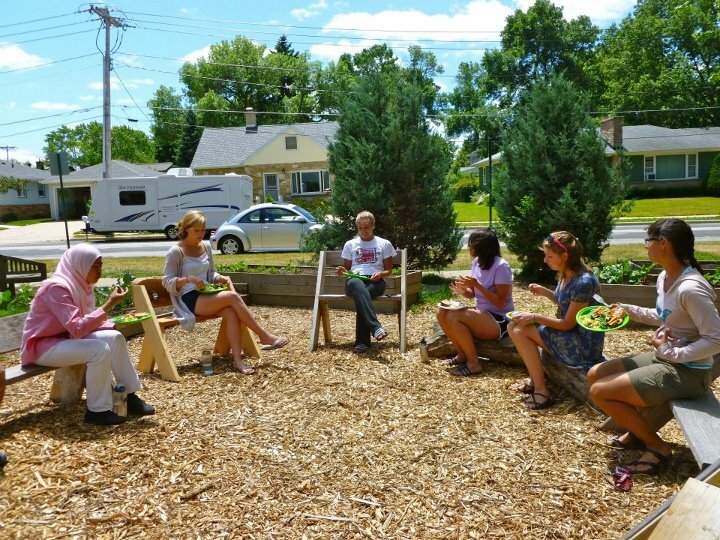 This entry was posted in Local Programs, Summer of Solutions by growingfoodandsustainability. Bookmark the permalink.